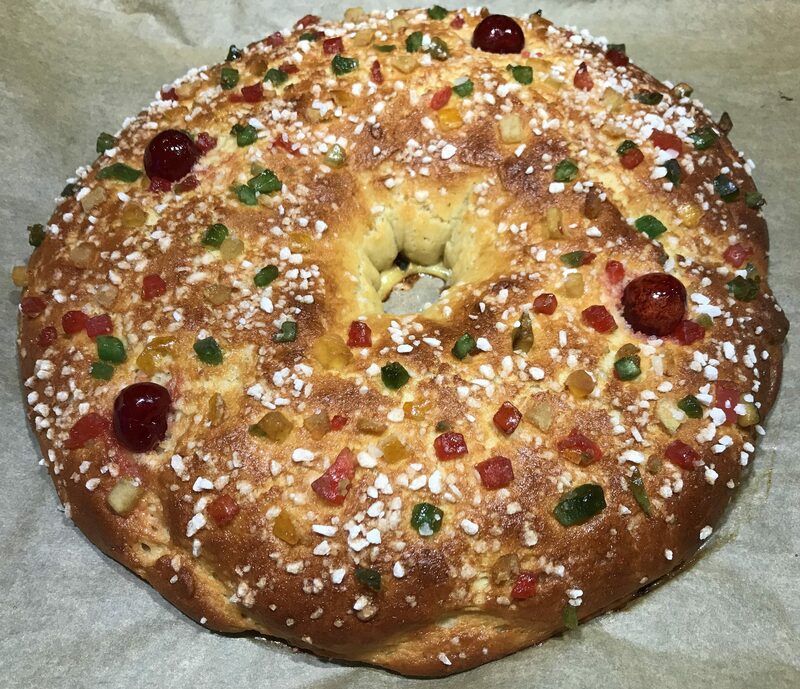 This King’s cake is eaten in Provence, France, to celebrate the Epiphany at the end of the Christmas season. The tradition is to put a small figurine inside the cake and the one you get the small figurine becomes the King. A crown is then put on the head of the King or the Queen! Dissolve the fresh yeast in the milk (37°C). Add the sugar and the bun flour mix. Let it rest in a warm place for at least 30 minutes (or until bubbles appear) under a clean cloth. Mix the dry ingredients well together. Add the beaten egg and the dry ingredients to the pre-dough. Knead the dough strongly by hand or with a stand mixer. Add the diced butter, softened at room temperature, the orange zest and the orange blossom water. Knead again the dough strongly by hand or with a stand mixer until smooth and elastic. If not, add a little bit of flour mix. Cover the bowl with a clean cloth and leave it for 1 hour at room temperature. Preheat the oven at 200°C. Gently form a ball with the dough and flatten it with your hands onto a floured surface into a circle of approx. 20 cm diameter. 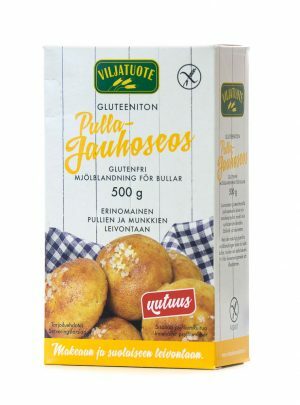 Make a hole in the center of the dough and gently start to expand the hole with your hands. Now you can hide the figurine inside the dough (from below) making sure that you are closing the edges around. Transfer carefully the dough onto a baking tray covered with baking paper. Brush with eggs wash. Sprinkle candied fruits and the pearl sugar on the dough. Let it rest for 1 hour at room temperature under a clean cloth. Bake for about 25 minutes or until it is golden brown.